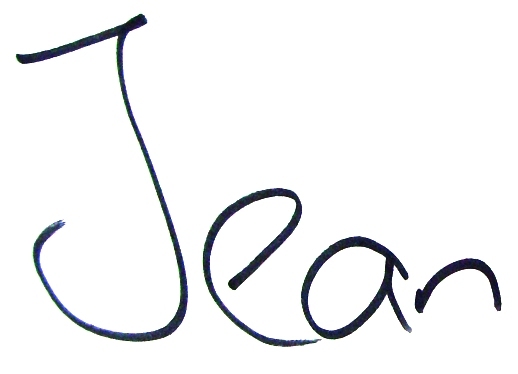 Jean Power - December 2016 newsletter update - a price-drop and last posting dates for 2016! This month is flying by and I can't believe Christmas is just in a week. It's been a very sparkly month so far with all the photos of the Christmas 2016 Secret Beadalong being shared on my beadalong Facebook page and it's very exciting to watch the pieces all progress. I'm even just about managing to keep up with the beading and am excited to finally be able to show off the major piece of the project here. 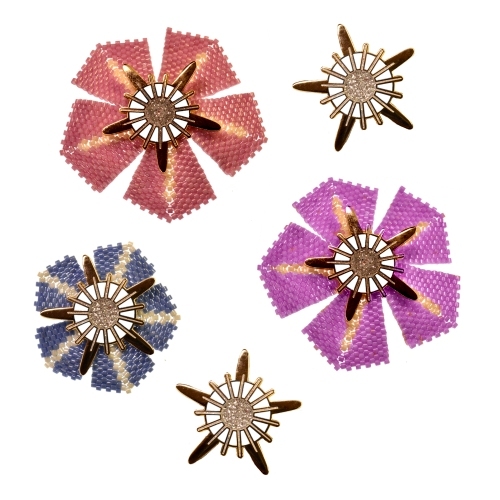 Excitingly I have also been able to get a discount from some of my suppliers and can pass on a price-drop of £4 for my Flower Pin Set (more info below) that I launched last week. The lower price is now on my site and all of you who already purchased them have already been sent a refund for the £4. 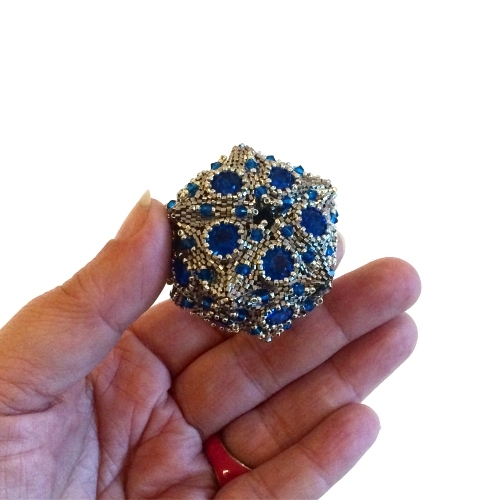 I have been overwhelmed with support for the pins and I have already seen photos of some of you wearing them with your beadwork (and even without! I'm delighted with how beautiful they are just as pins by themselves). So Christmas and 2017 are fast approaching but I will be sending out post up until 1pm on this Wednesday (the 21st December) if you want to place any last minute orders. If you're worried about items not arriving in time for Christmas after that then I can email you a 'certificate' to gift on the day. Any orders placed after that time will ship on Wednesday 4th January 2017. So until next year, and as always as many beady exciting things as I can squeeze in... best wishes, Merry Christmas and happy beading and I hope you have a wonderful start to 2017! For a few years now I have been playing with designing some enamel pins and of course had to relate them back to beading! 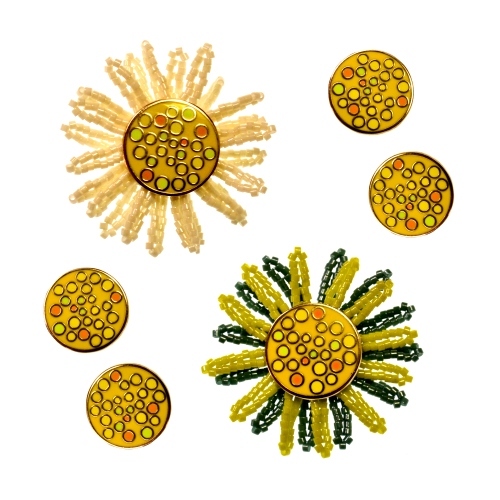 Launching today is this set of gold-plated, hand-coloured enamel pins, which were specially designed by me so that us beaders could have a colourful and fun way to play with our beadwork and create interchangeable brooches/ pins. The idea is that you create your own unique beadwork which can be worn behind the pins and then removed, swapped or added to whenever you want a change. 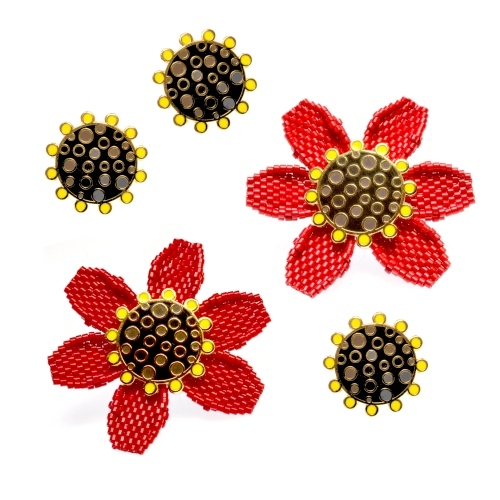 Each set comes with 3 pins which depict the centres of flowers (a Poppy, a Daisy and a Morning Glory) along with the instructions for all the beadwork shown. But you can play with any petal style or beadwork you want and make what you wear truly unique. The pins even look great worn by themselves! You can buy your pins here for £34 including postage World-wide and please do read on for the discount code which you can use to get £2 off the set and and the chance to get your kit for free. 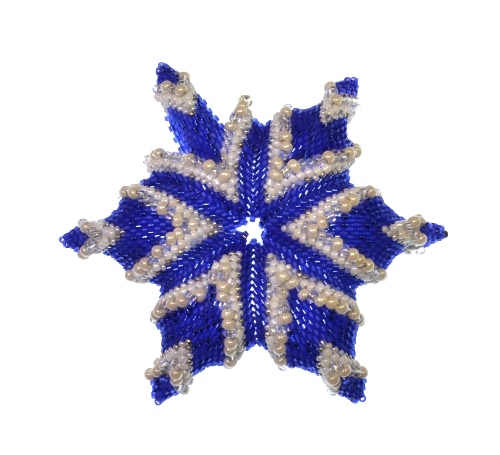 This striking beaded Star mixes geometric beadwork with different shaped and sized beads for a unique ornament. 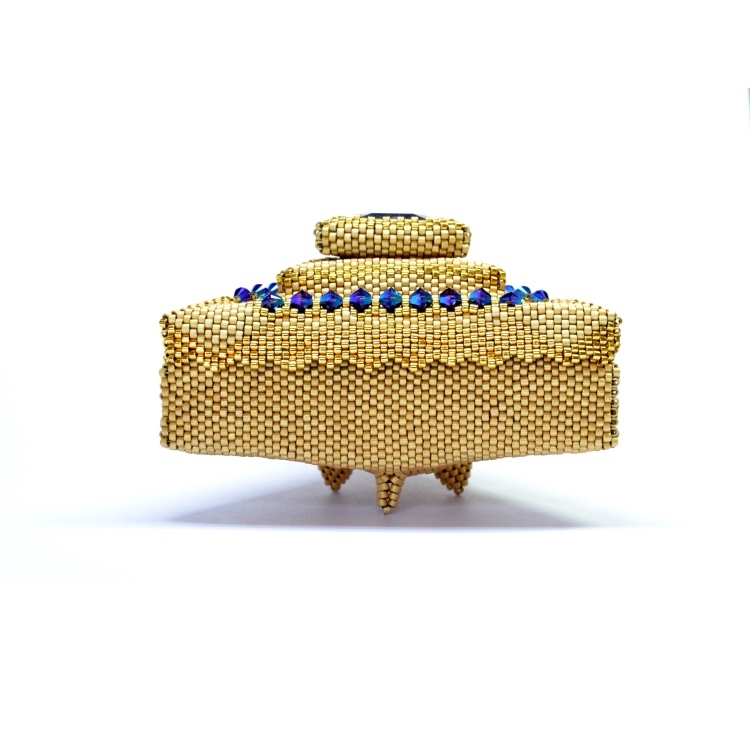 The design is versatile and it can be beaded with, or without, an integral hanging hole as desired. 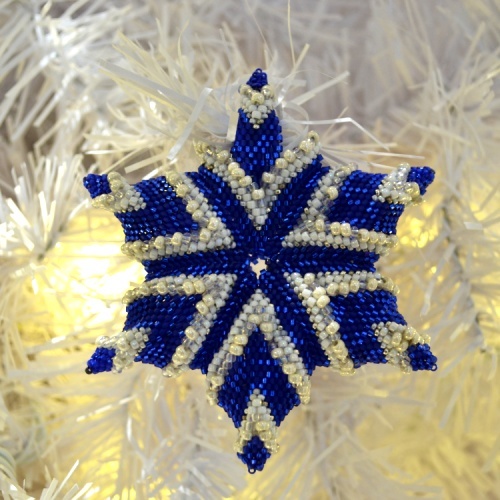 Knowledge of how to bead my Advanced Stars is needed (how to bead a hanging hole and a new method of beginning a Star) and the Christmas Star pattern can be purchased here for £10 but don't forget you can use the discount code below. I'm looking forward to next year when I'm returning to some of my favourite places (Bristol, Charisma Beads, City beads, Creative Castle, Medway Beaders and StitchnCraft) some of which I haven't been to for a while (Beads For Beauty, GJ Beads and The Great British Bead Show) also venturing to some venues for the first time (Hello Hastings, Liverpool, The Bead Scene, The Netherlands, The Ozarks and Texas!). You can see all my classes organised by venue here and date here and I hope to see you at one of them in 2017. Please make sure the discount is applied to your basket total BEFORE you finish checking out. Also ensure you type the code without the quote marks. The code is valid until the end of December 2016. 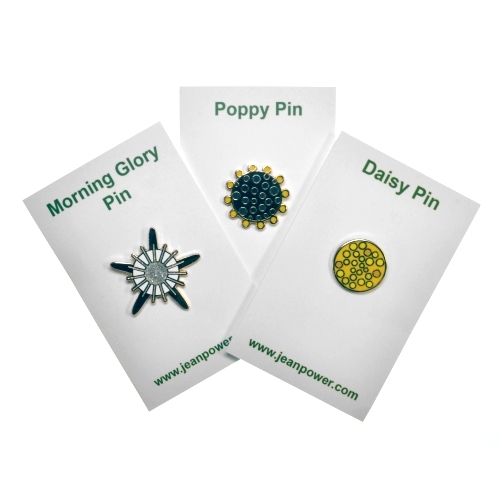 As a Christmas bonus this discount code will also give you £2 off when you purchase a Flower Pin Set before the end of 2016 and all the orders for the set, which use the discount code, will be gathered together and on New Years Day 2017 I will select one name at random whose purchase will be refunded as a 'Welcome to 2017' surprise gift! Copyright © 2016 Jean Power, All rights reserved.